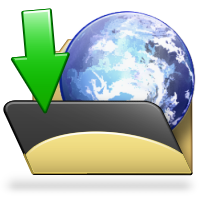 This extension will add an easy download system to your forum. This extension shows the newest members instead of only one. The DM Quotes Collection is a simple tool, where you can start collecting quotes. These will be display on the index page in a random order. The PhpBB Countdown extension display a countdown in your forum header, just below the navbar. This extension adds a new page to your phpBB3, on this page is possible add YouTube videos. The Forum Goal extension display your goals for posts, topics, users and attachments. A simple Paypal Donation extension. This extension is based on the visitor’s IP address.